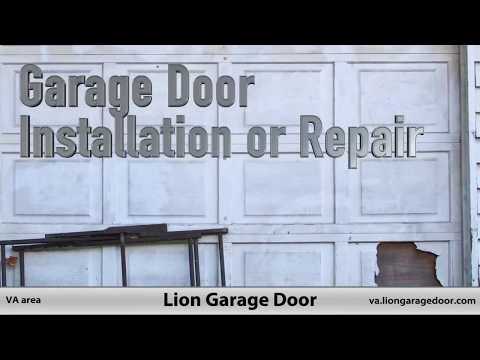 Lion Garage Door is your trusted partner for your garage door repair needs. We specialize in residential and commercial garage door repair. Our garage door repair technicians have been in this field for years, so they know what to do. Lion Garage Door. has specialized in repairing and restoring garage doors and openers for nearly twenty years. We believe in providing a top quality service for our customers while giving them the neighborly respect they deserve. Our technicians ensure great quality garage door repair services. We are prominent teams and the most experienced ones in Virginia. Lion Garage Door provides top quality garage door openers from the best manufacturers in the United States, including LiftMaster, Wayne Dalton, Craftsman, Genie and much more. When Lion Garage Door performs a garage door repair or installation, you receive a fast and professional service that fits your budget!